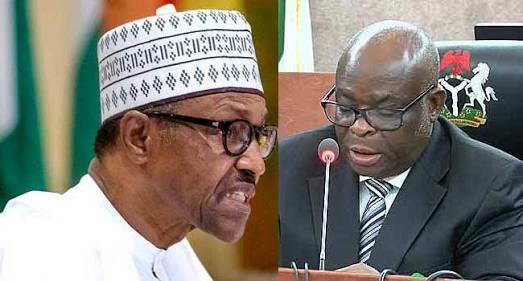 More facts emerged in Abuja on Saturday on why Buhari could not wait for the court to determine the fate of the embattled CJN, Walter Onnoghen. inaugurate judges that will adjudicate over the conduct of the 2019 elections in the country. He had fixed Saturday (yesterday) for the inauguration of the election petition panels. A source told The Punch that, “There are a total of 250 members who would sit on the election panels. The panels comprise National Assembly Election Petition Tribunals, Governorship Election Petition Tribunals, and State Assembly Election Petition Tribunals. The Punch correspondent who tried to gain access to the house located close to the Supreme Court was denied entry by stern-looking security men comprised of policemen and men of Department of State Services. Punch correspondent: I’m here to observe the situation around the house of the CJN to avoid misleading report. Punch Correspondent: I don’t need a formal invitation in this circumstance, I only come to have first-hand information. The operative then beckoned on armed policemen to guide the correspondent out.